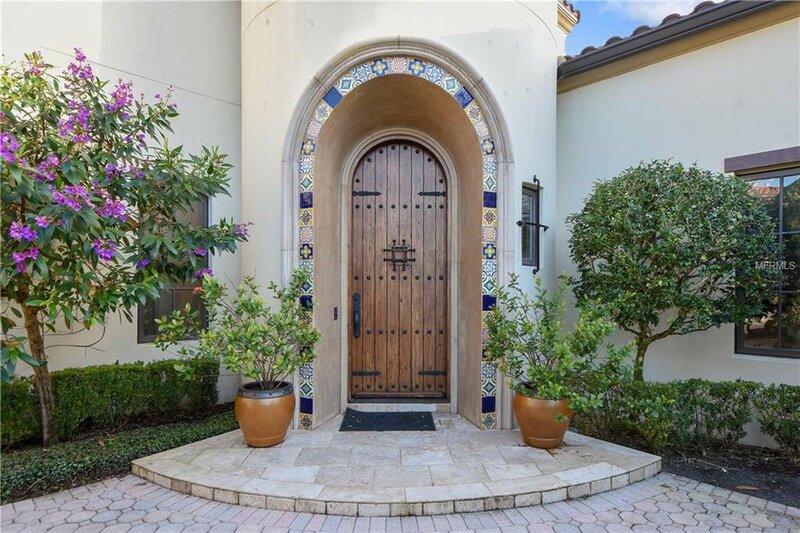 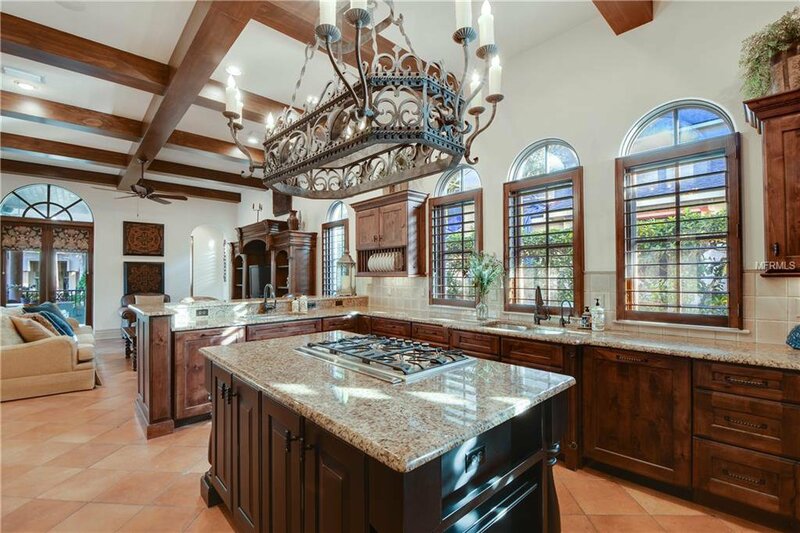 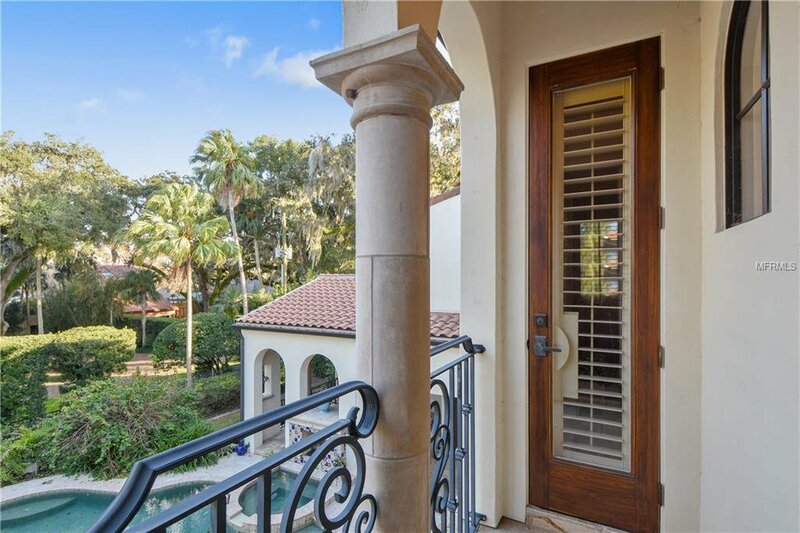 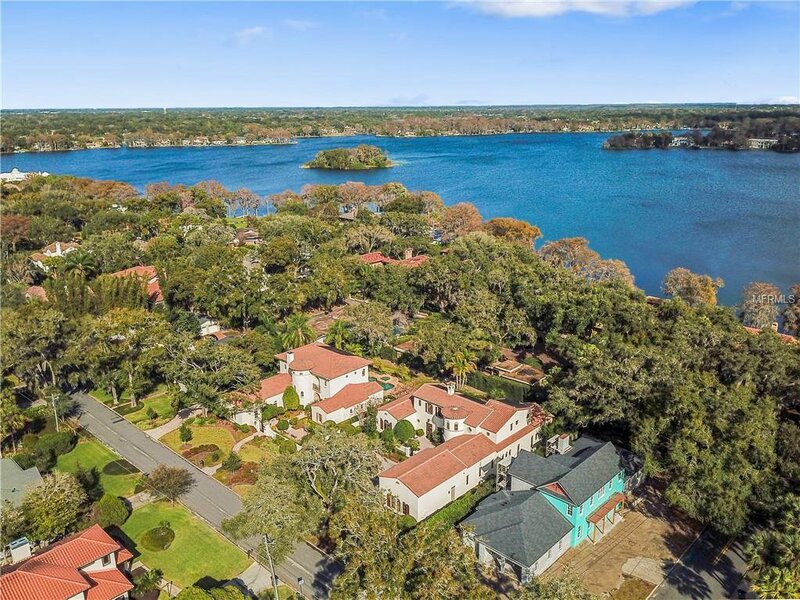 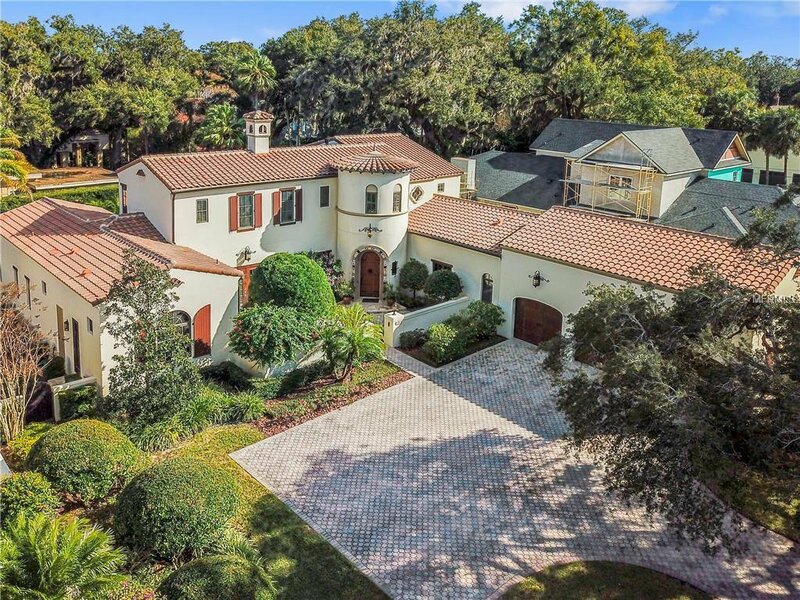 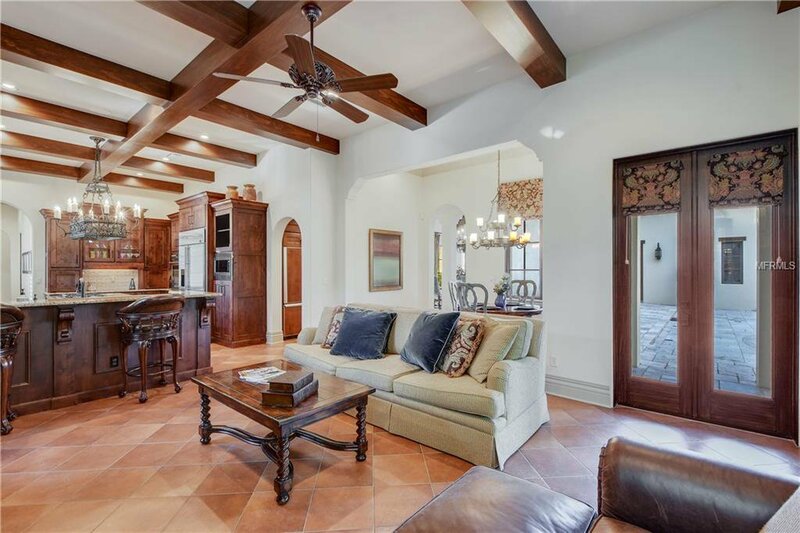 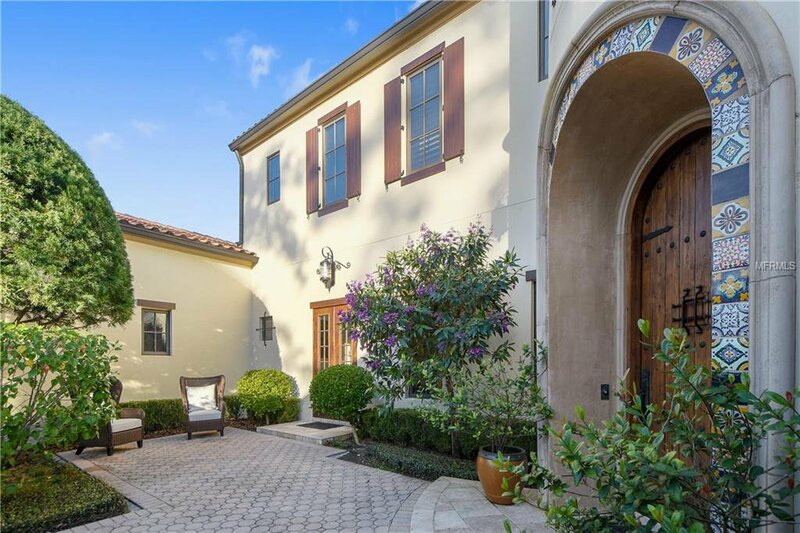 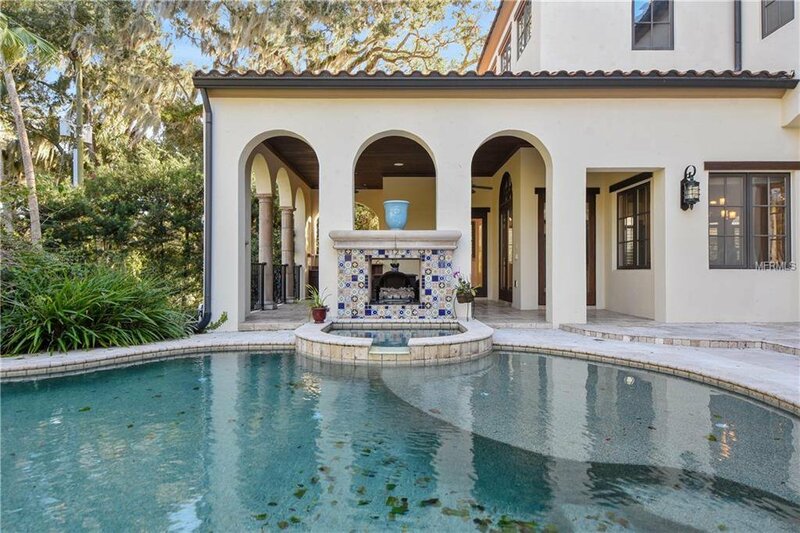 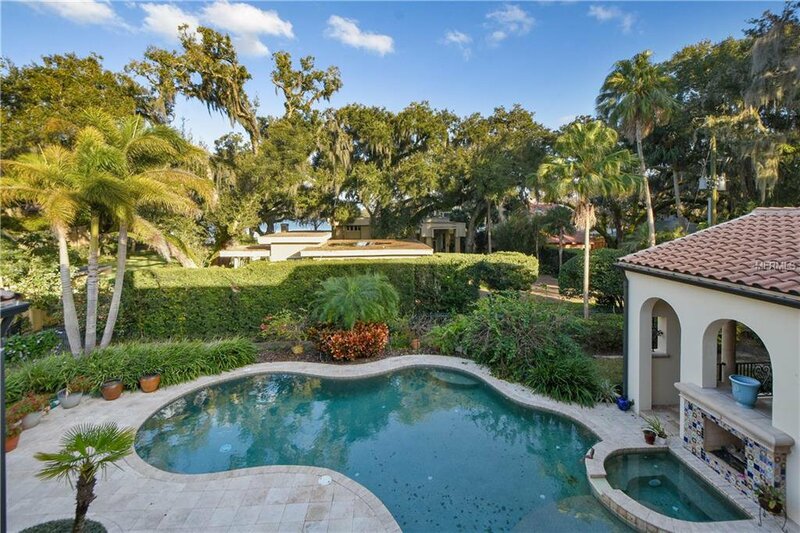 Custom-built by Goehring and Morgan, this magnificent Mediterranean-style home boasts some stunning views of Lake Maitland & is only moments from Park Avenue. 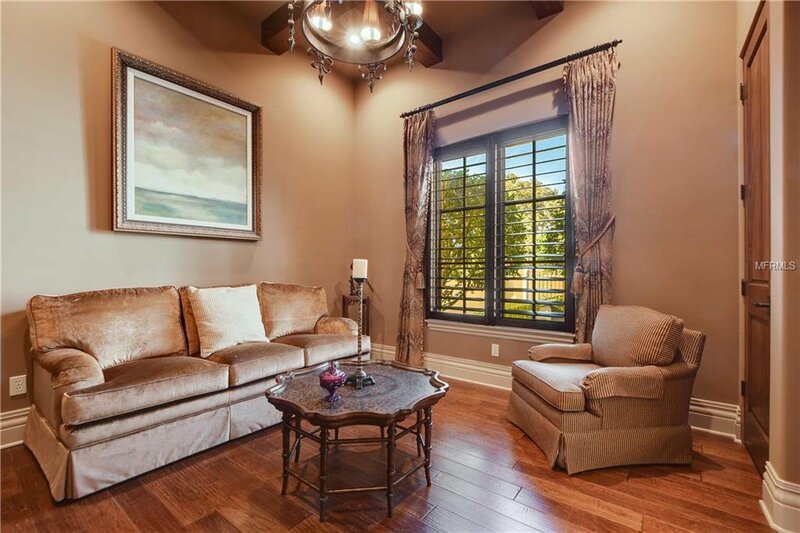 Nestled on a beautiful tree-lined street & carefully crafted with the finest finishes and fixtures, no detail has been overlooked. 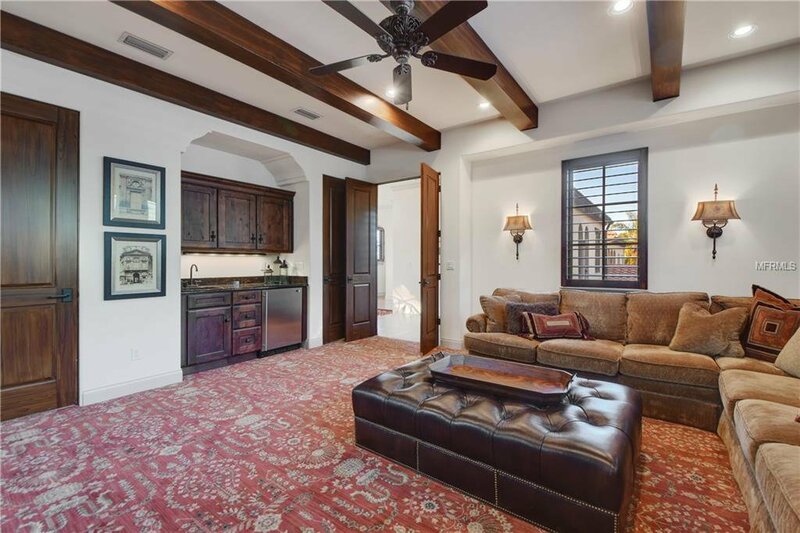 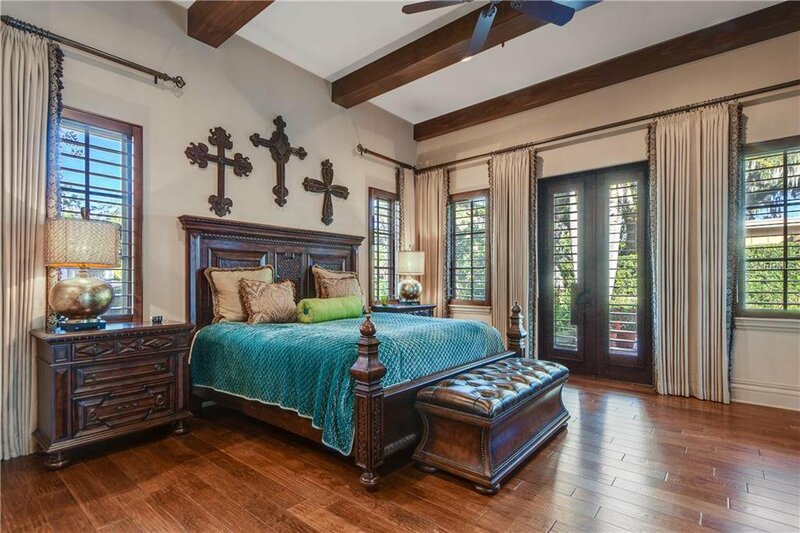 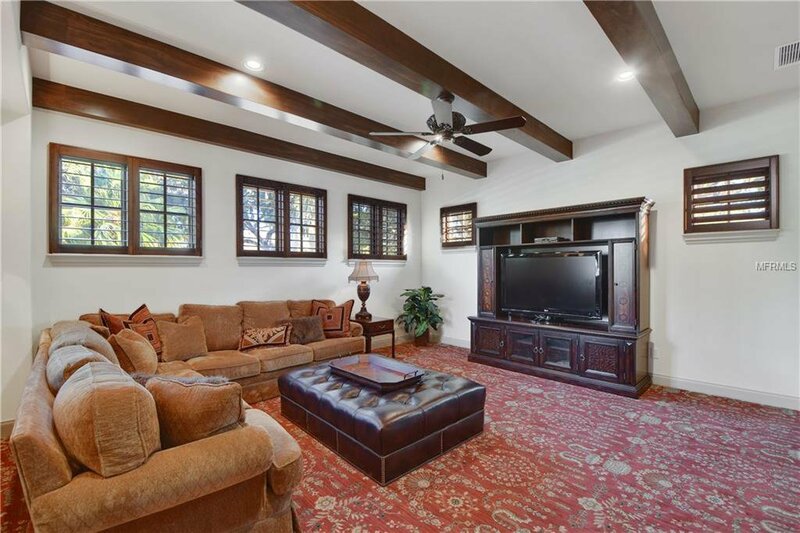 Encompassing 4,554 square feet, a bonus room & office could also be converted to bedrooms, making this the perfect residence for hosting out of town guests. 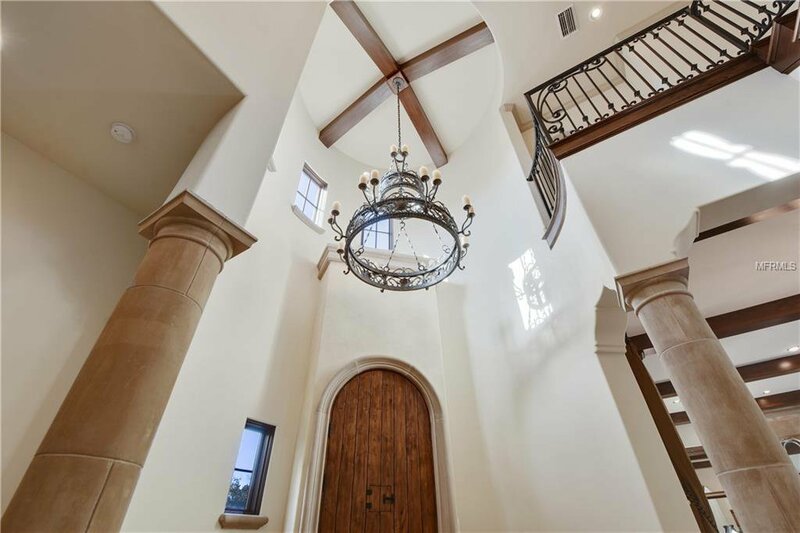 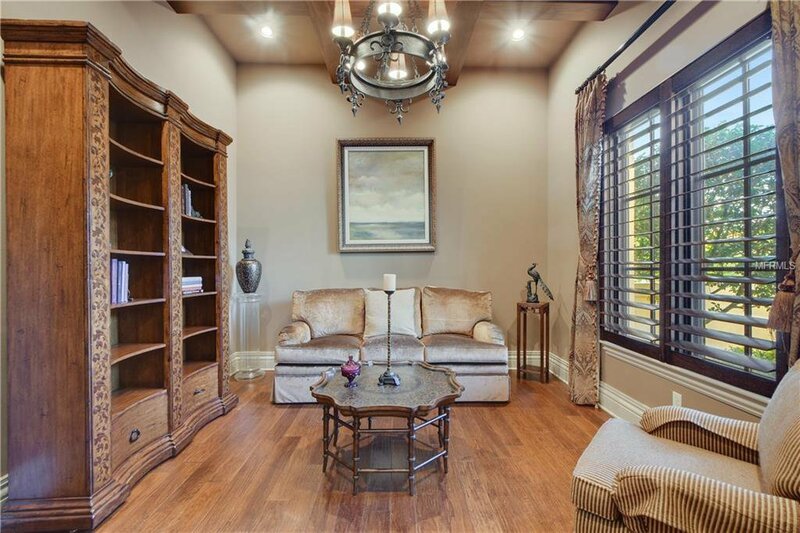 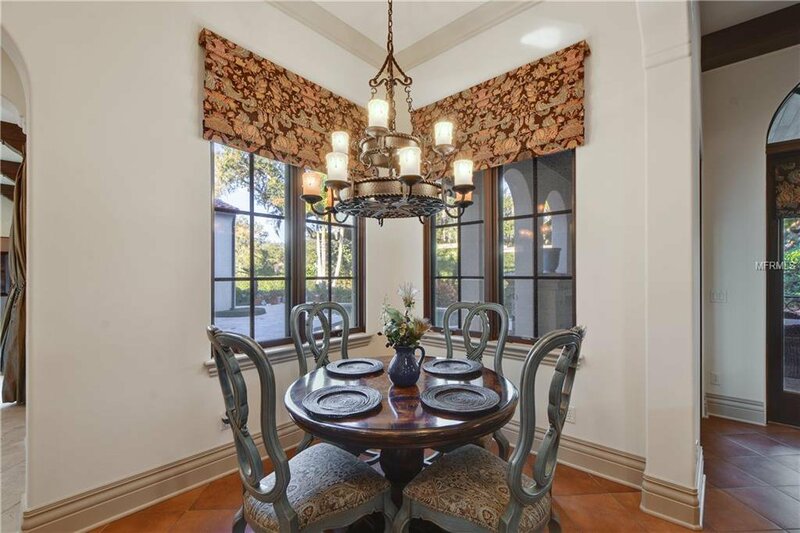 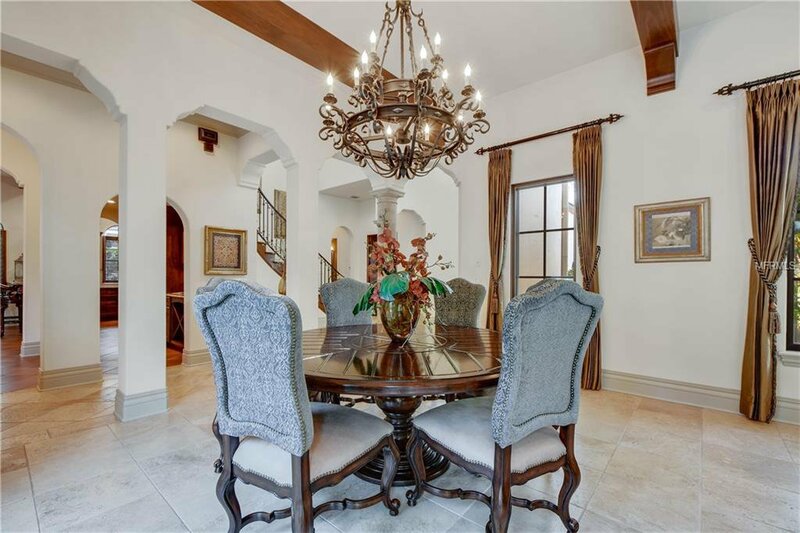 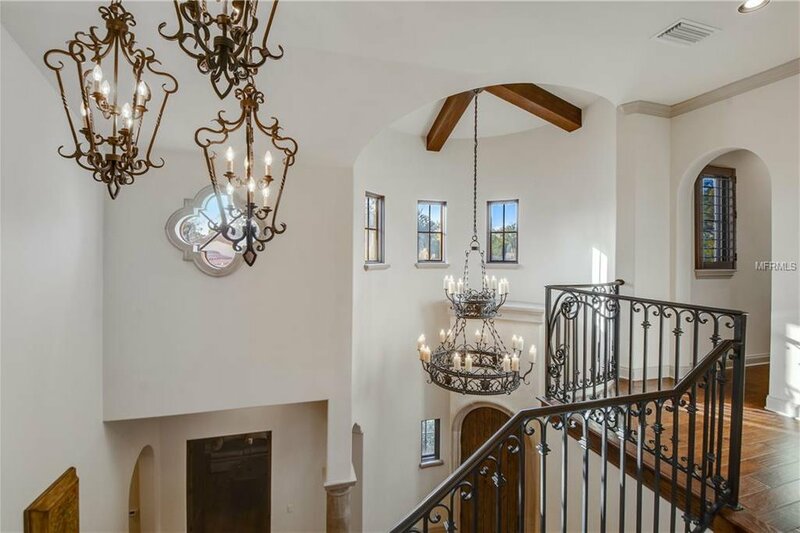 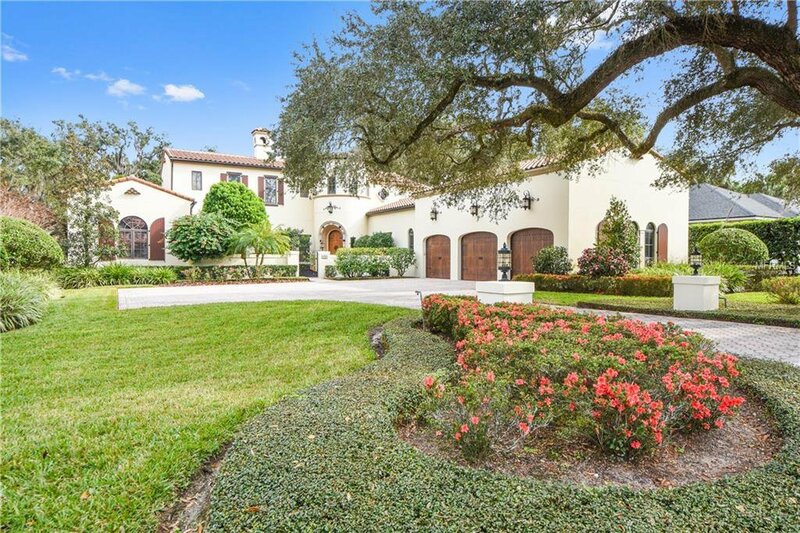 Lush, mature landscaping & an Olde World feel welcome you into the grand 25-foot foyer. 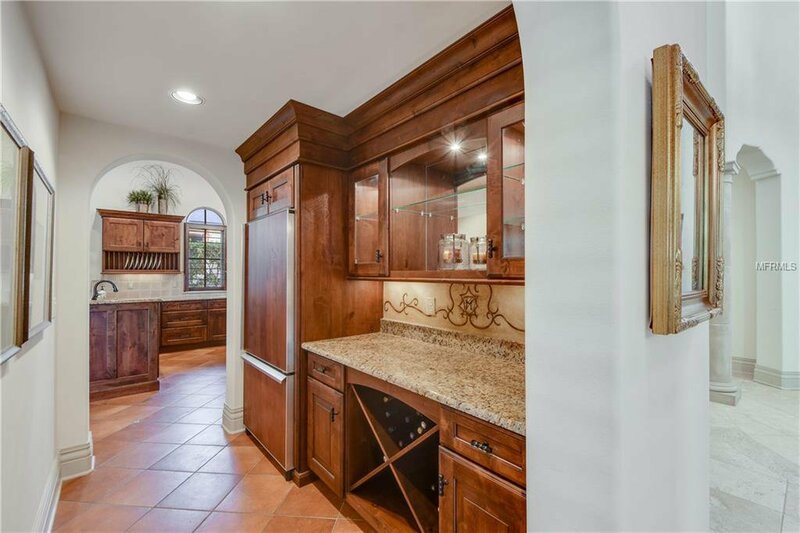 A gorgeous kitchen offers granite countertops, GE Monogram commercial grade appliances, double-oven and an expansive walk-in pantry. 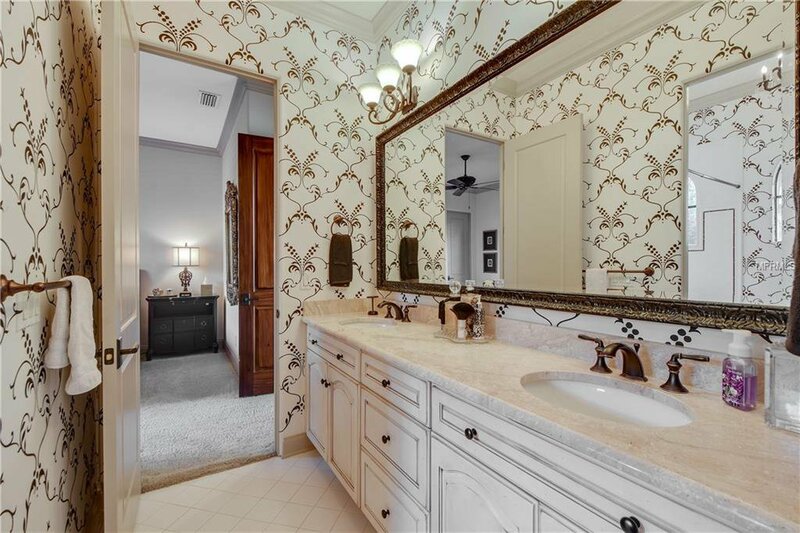 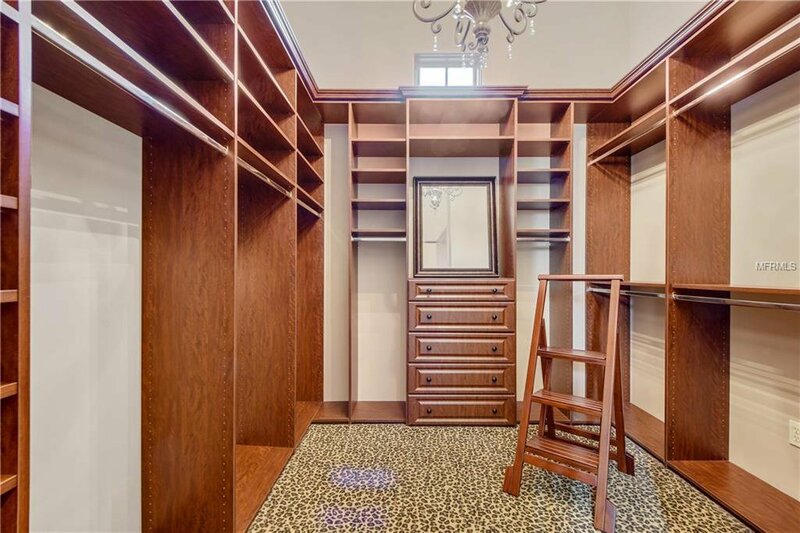 After a long day, retreat to the master suite with sitting room, jetted tub, dressing area & two generous walk-in closets with built-in storage. 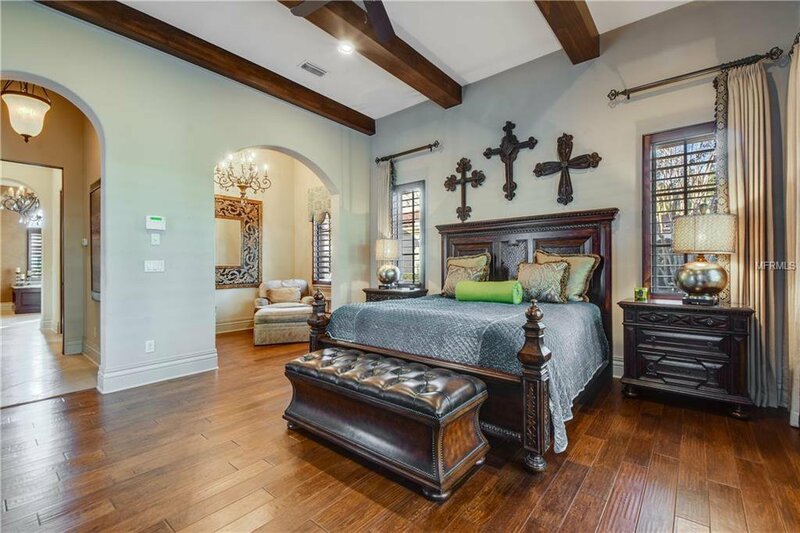 Features include hardwood floors, butler’s pantry/wine bar with refrigerator, mud area with built-in desk, custom plantation shutters and high-end window coverings. 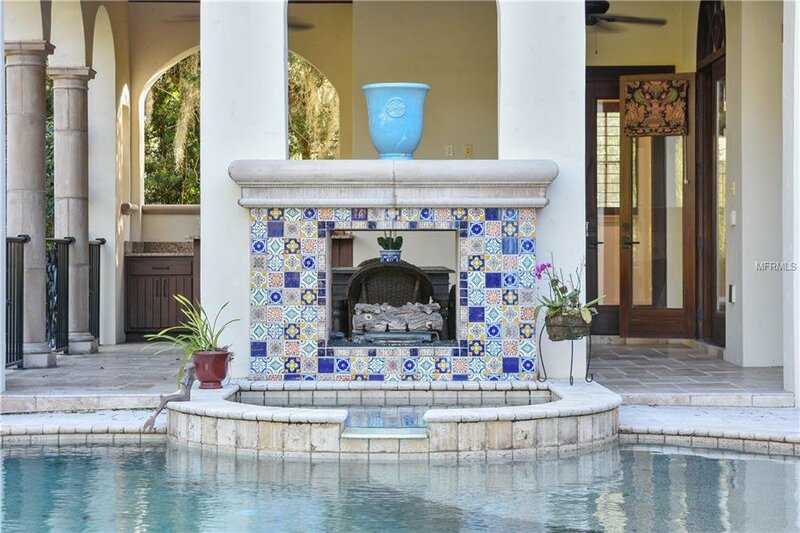 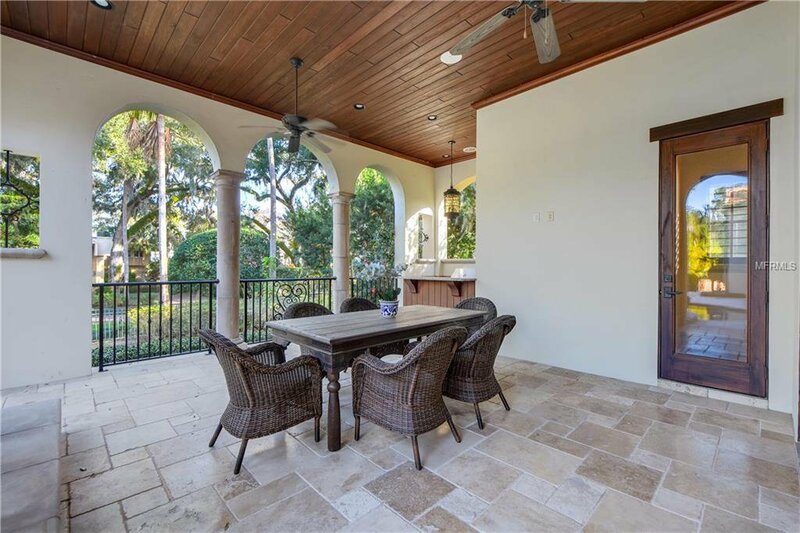 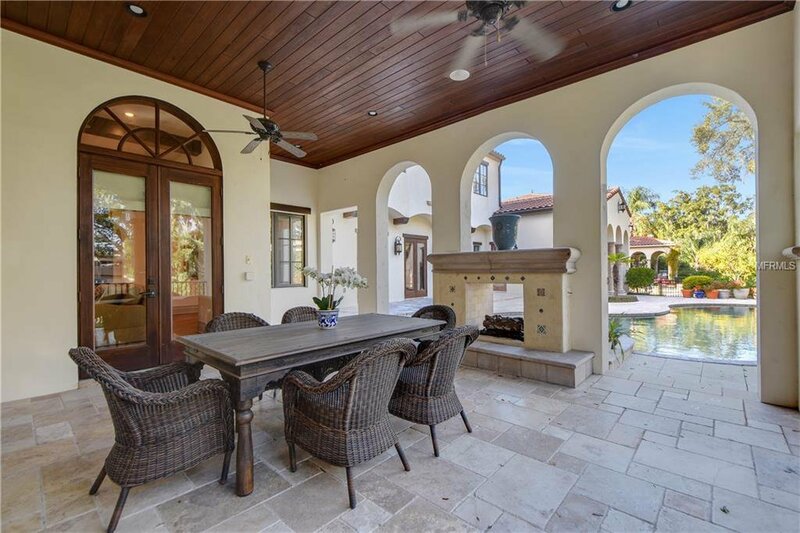 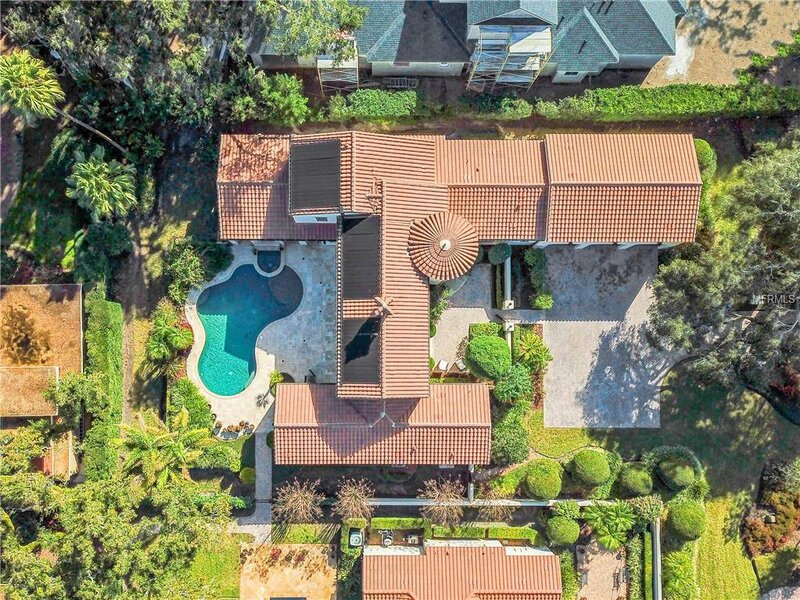 An entertainer’s dream, outside you will find a gated courtyard, covered lanai with outdoor kitchen, gas fireplace, shower and a spectacular solar heated saltwater pool and spa. 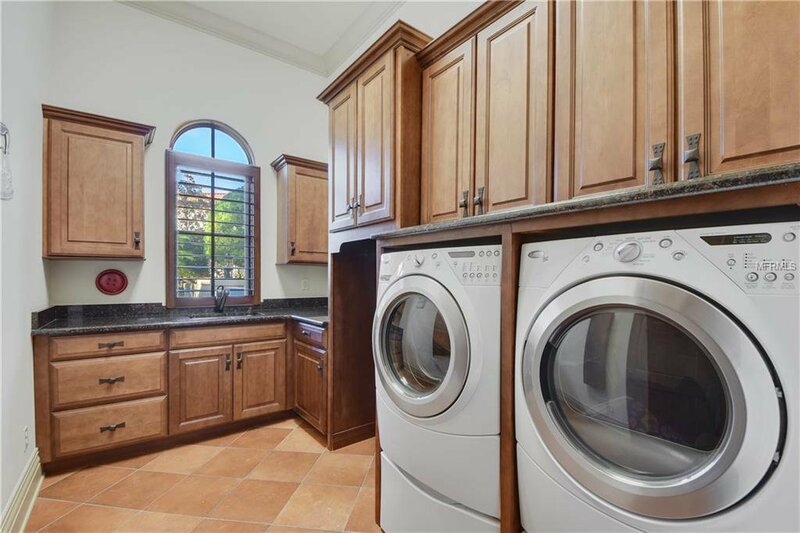 For added convenience, this property is fenced and has a three-car garage and large laundry room with built-ins that are ideal for extra storage. 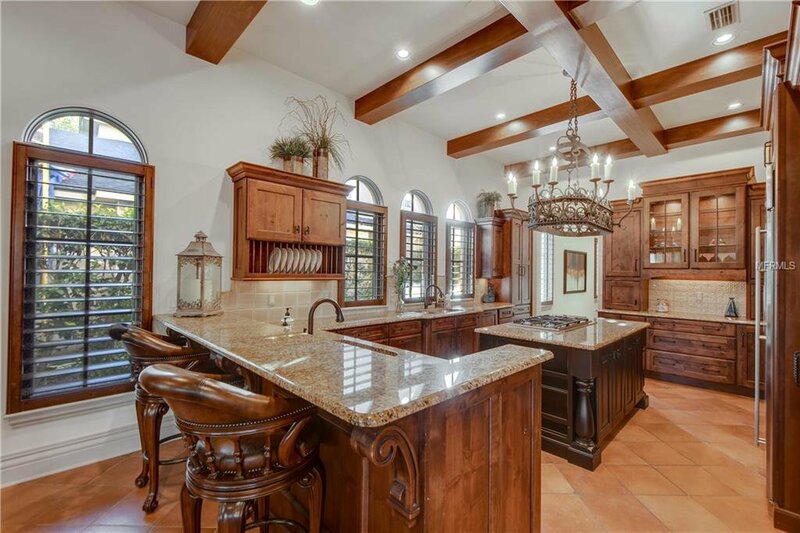 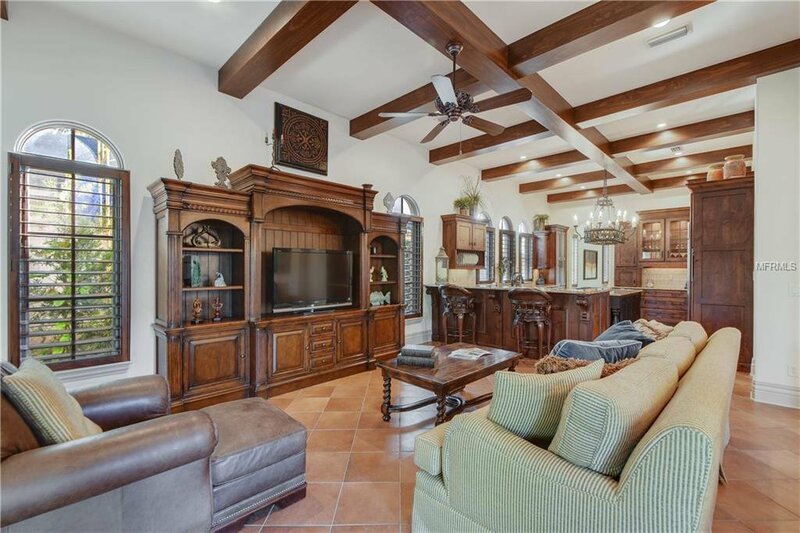 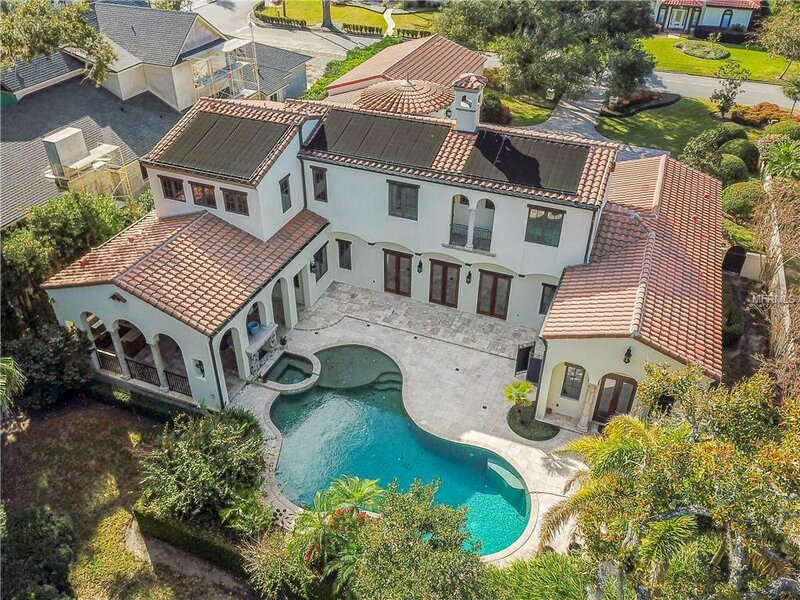 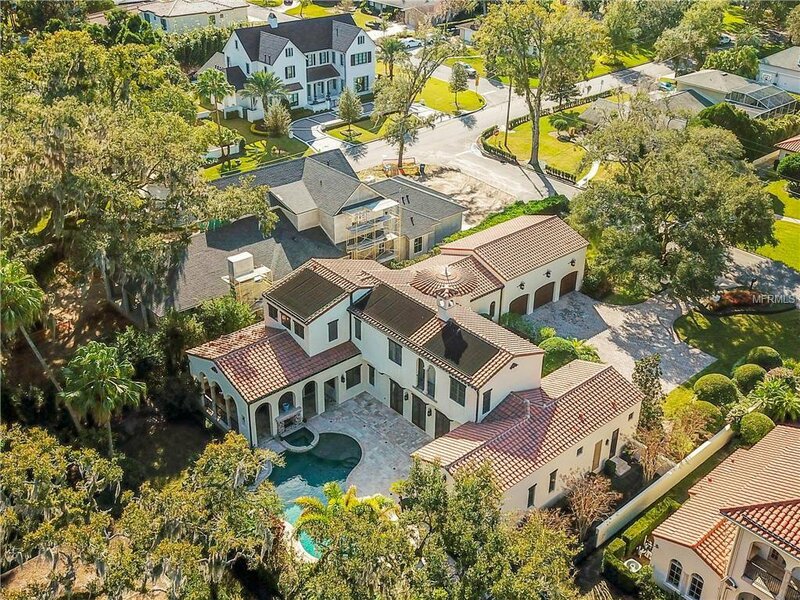 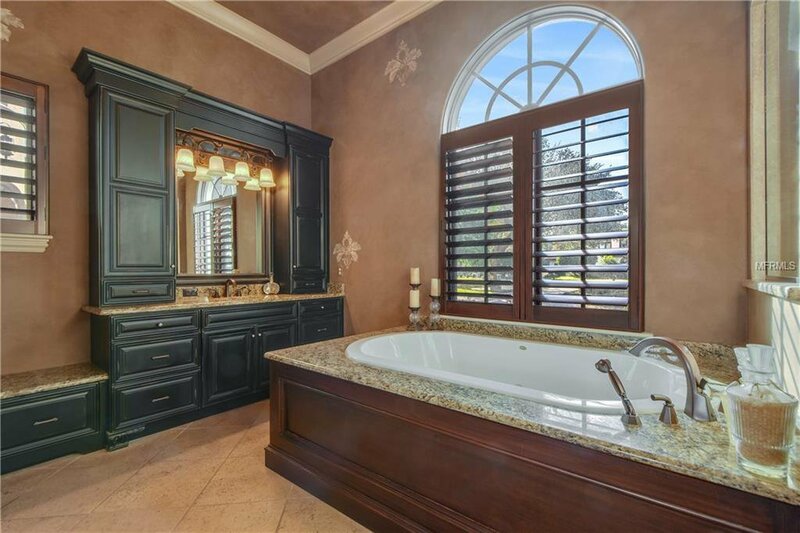 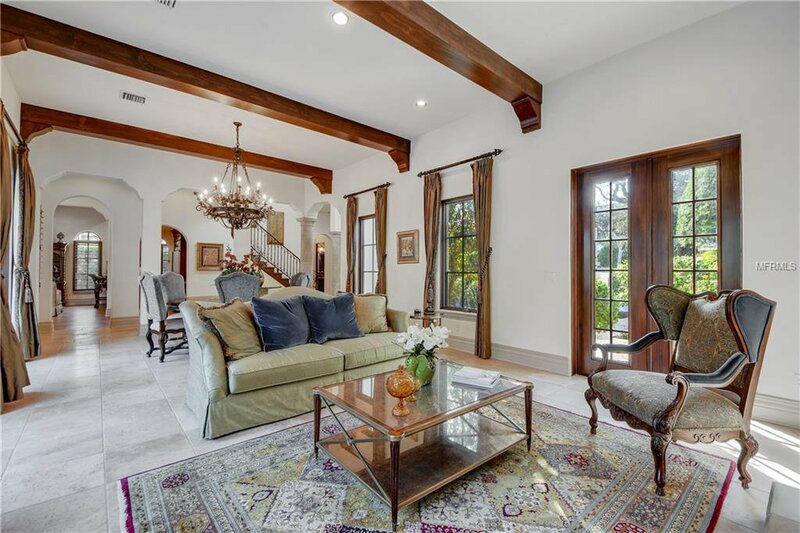 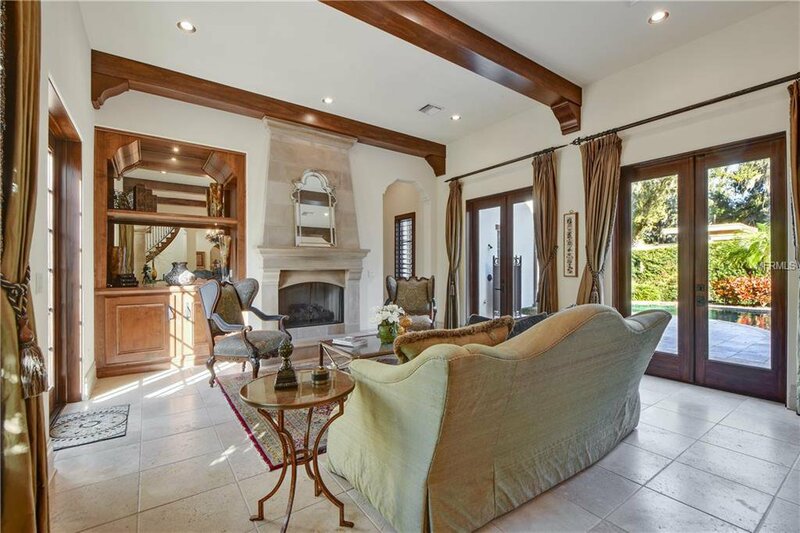 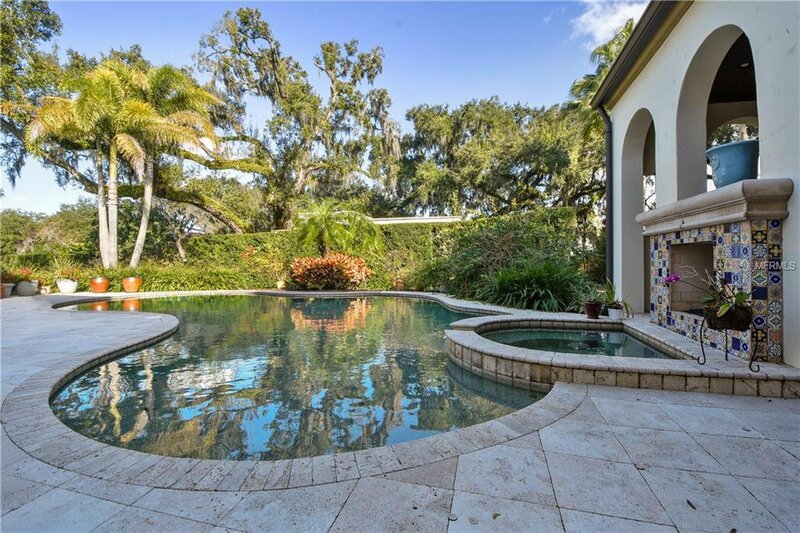 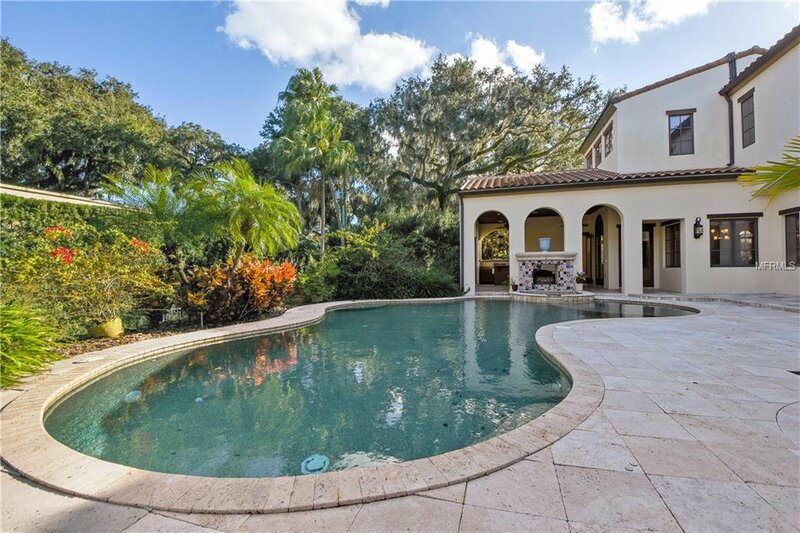 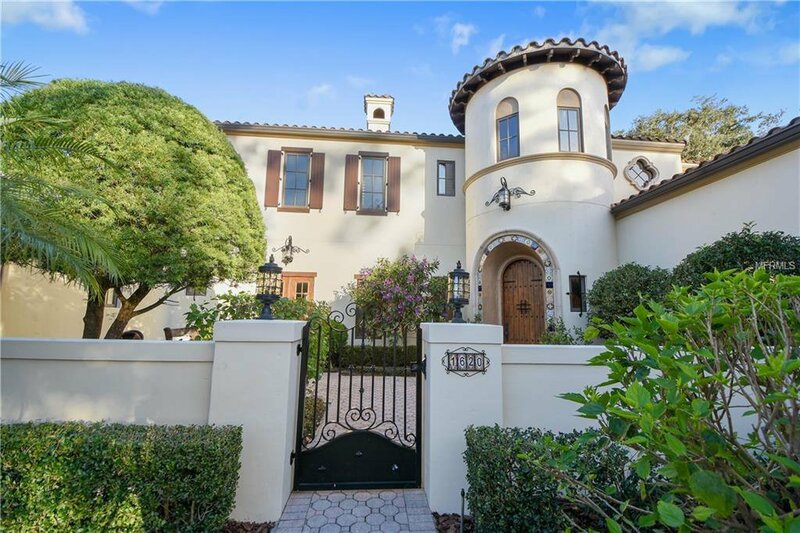 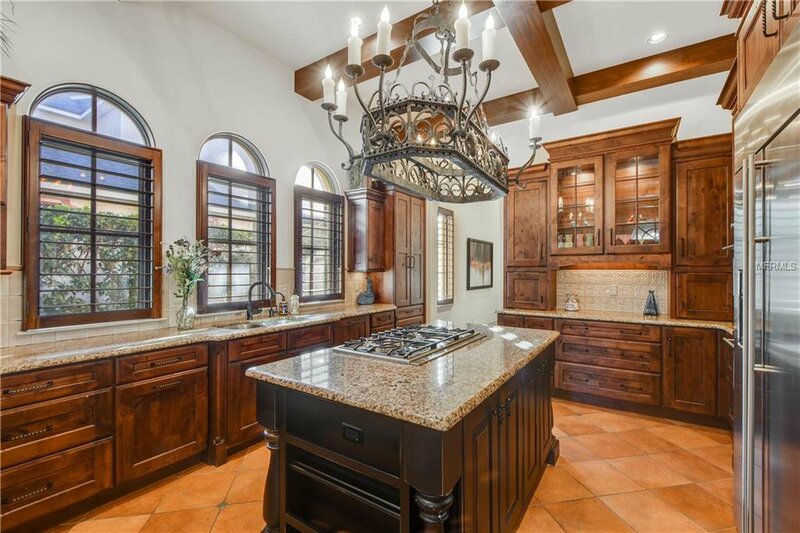 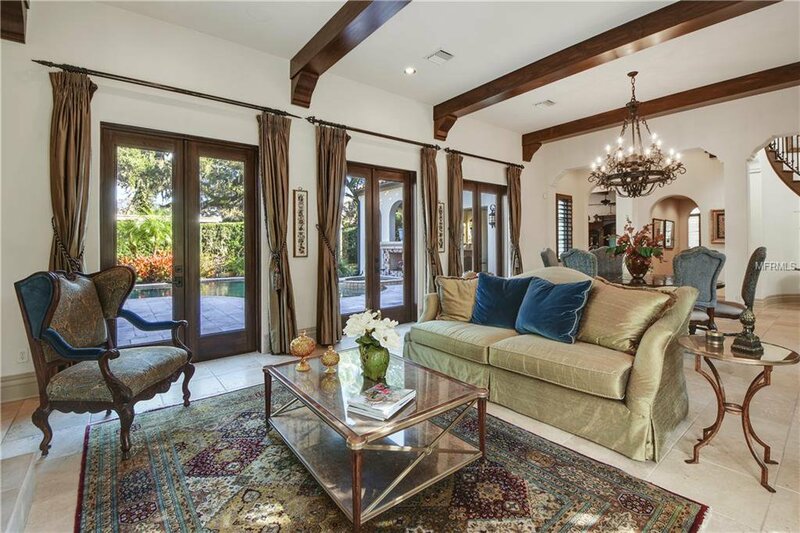 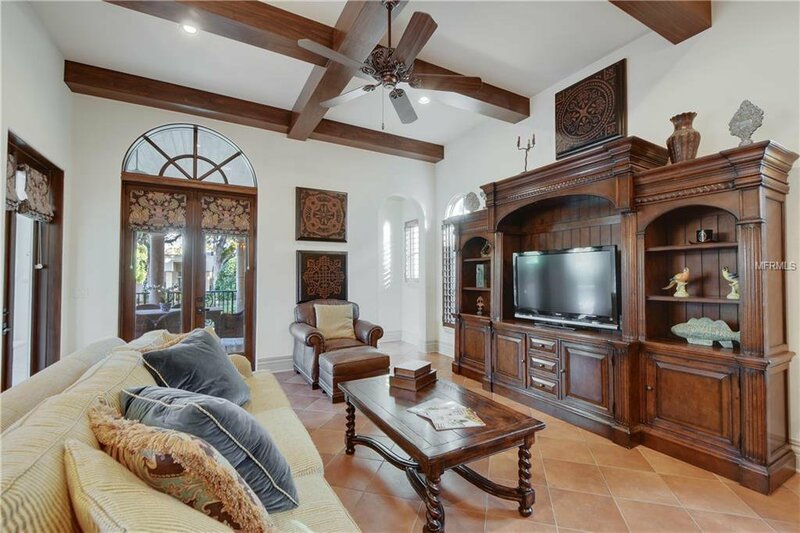 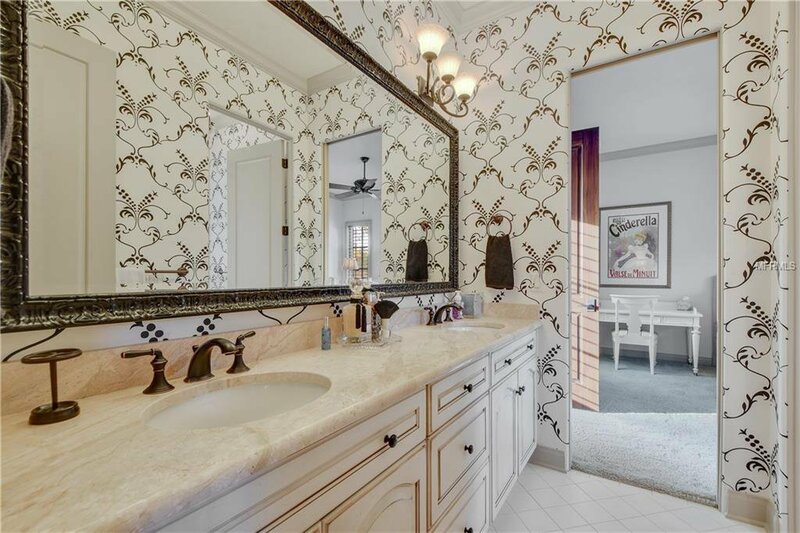 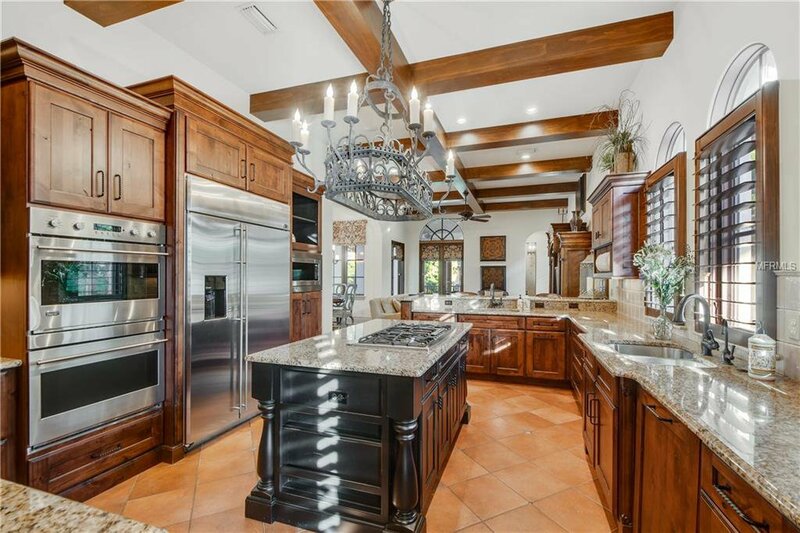 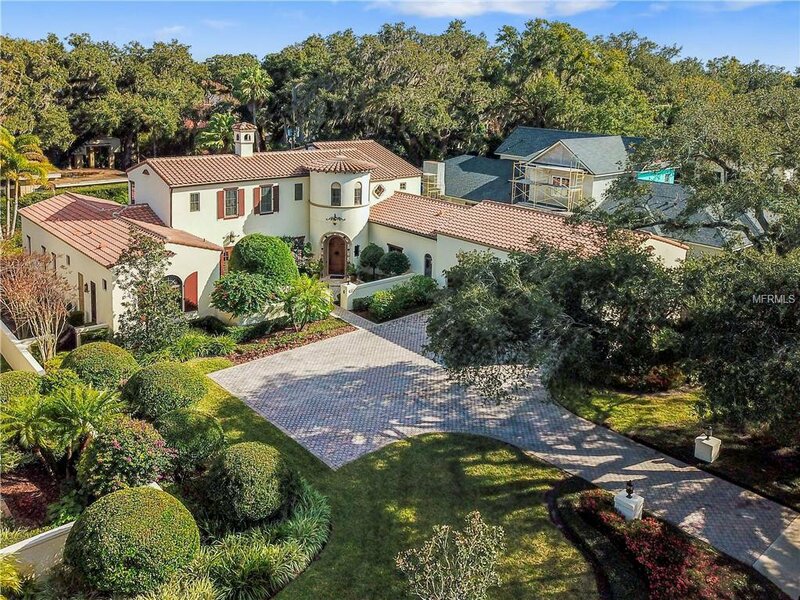 This truly one-of-a-kind Winter Park estate is located near shopping, dining, Park Maitland School and the Enzian Theater. 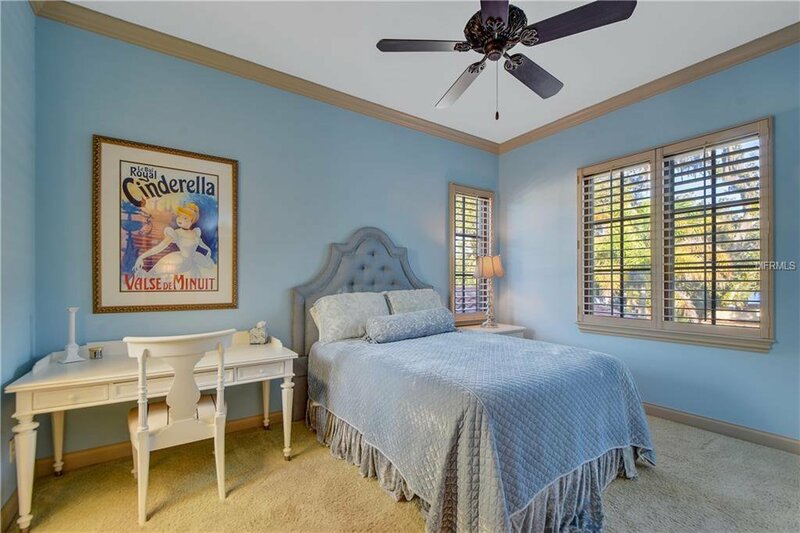 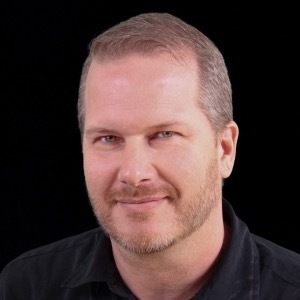 Room measurements are approximate and should be independently verified.